All my prints are created on an order by order basis, this keeps them lovely and fresh so when they reach you they always have that nice newly printed smell. I print on 310gsm Somerset Velvet paper, the same paper used for prints sold in many top galleries such as Tate and V&A. The results are amazing and give really nice vibrant colours. Not all my prints are listed on this site but can be made available, if you see something you would like on my website but it's not sold in the store just drop me an email. I occasionally work on private commissions, if you are looking for something really unique please drop me a mail. Custom prints are charged based on the time taken to complete the work. 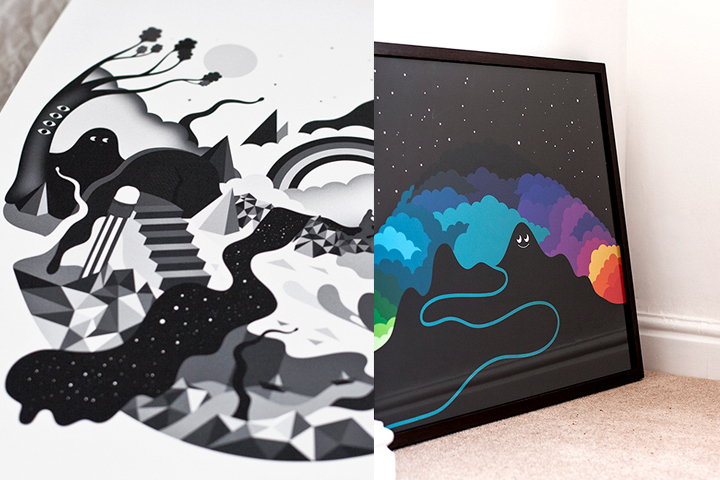 You can also find some of my prints in Urban Outfitters and other UK stores.